Book now for the Olympia Panto : CINDERELLA : The Story of Cinders & Her Fella. 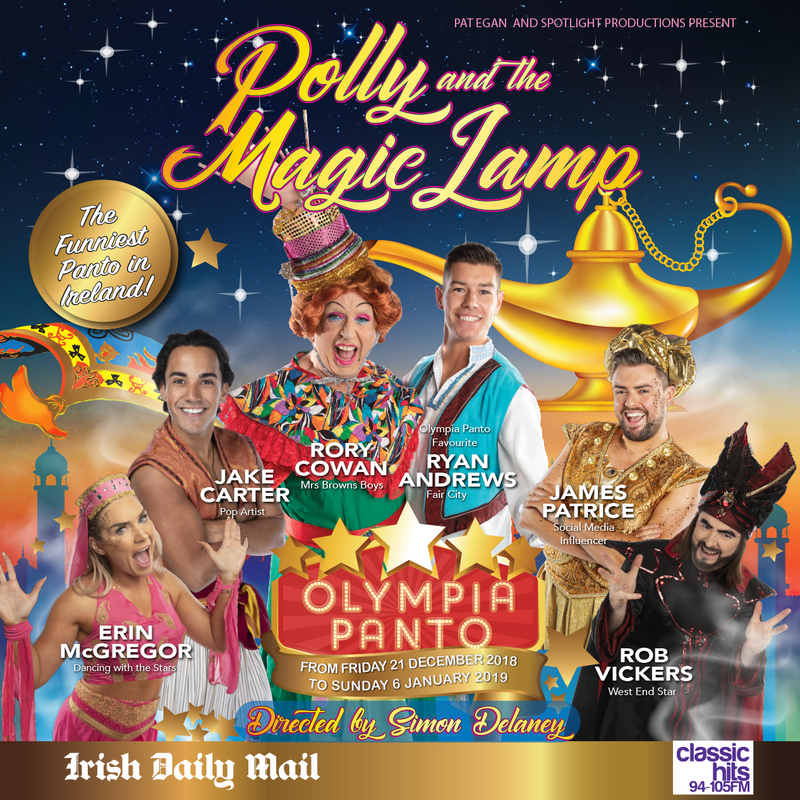 It’s the most entertaining, magical and funniest family Panto you are ever likely to see! Friday 20th December 2019 to Sunday 5th January 2020. Early Bird tickets now on sale here.